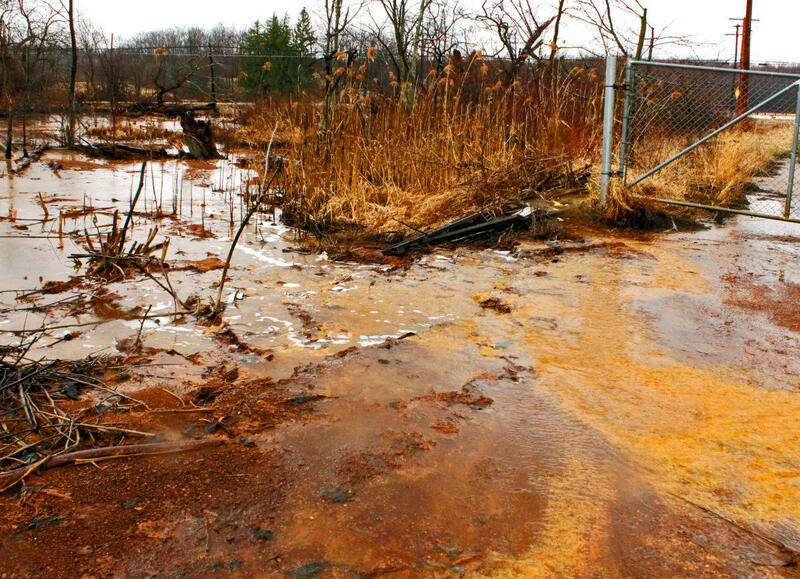 Throughout coal mining country of the Eastern U.S. you will find streams that run a peculiar rusty orange. It’s the result of pollution called acid mine drainage, or AMD. It’s estimated that about 10,000 miles of streams are polluted by AMD in Pennsylvania and West Virginia alone. In fact, researchers have calculated that every second, coal mines throughout the region are pumping out about 3,000 cubic feet of AMD. That’s roughly equal to an average May day’s flow of water in the Monongahela River as it winds through the region. If untreated, the pollution is more than just unsightly. It is deadly to aquatic life. But if some engineers and scientists are successful, some of this pollution could become a boon to national security and the source of a new industry. These researchers think this and other coal pollution can produce rare earth elements, valuable ingredients for electronic technology and the defense sector. Acid drainage from an Ohio mine. Researchers have found rare earth elements in and around coal seams and throughout waste products that come from mining and burning coal. The lowest hanging fruit might be the elements being leached from coal seams by acid drainage. Standing in front of a silo full of crushed limestone, Paul Ziemkiewicz explained how the basic rock slowly gets flushed into an acidic stream pouring out of an old coal mine. He said this state-of-the-art, state-operated facility is the latest iteration of how to treat acid mine drainage. If the treatment weren’t here, the stream would run a rusty red, killing ecosystems in its path. 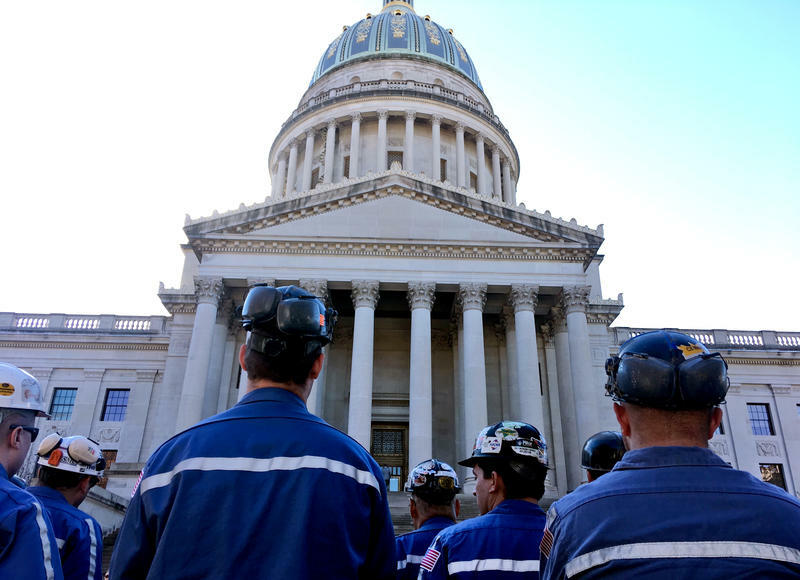 “We are at the Omega Mine, about four and a half miles south of Morgantown, West Virginia, in an area that’s been heavily mined for coal since the Civil War,” Ziemkiewicz said. 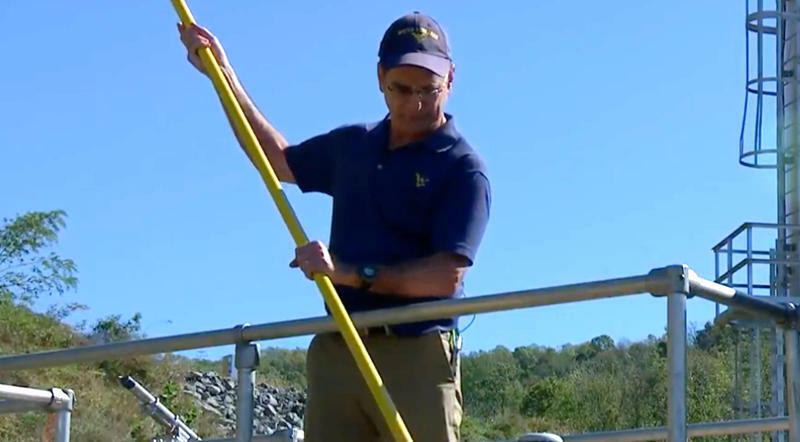 This year Ziemkiewicz, the director of the West Virginia Water Research Institute at West Virginia University, was awarded 2.6 million federal dollars, plus funds from the private sector. 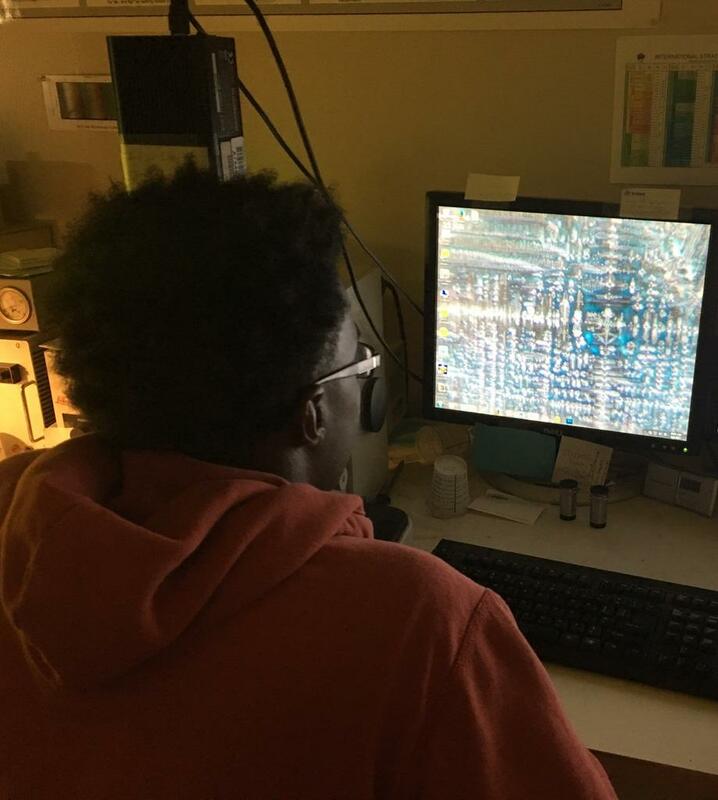 His research aims to locate, isolate, and commercialize hard-to-gather elements of the periodic table — elements that are critical to the technology age we live in. Some of those elements can be found in acid mine drainage. 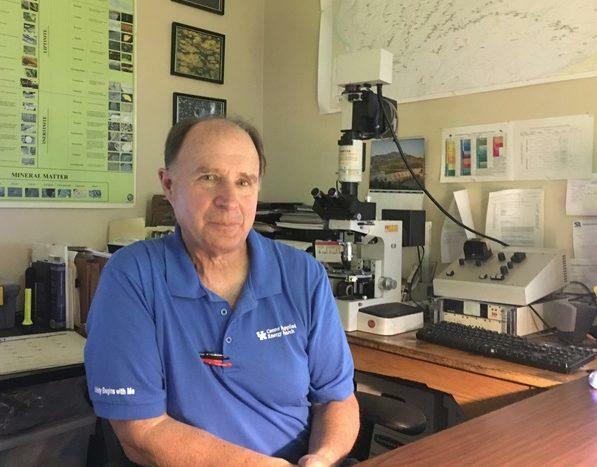 Ziemkiewicz and a handful of other scientists in and around the Ohio Valley make up the eastern American team dedicated to cracking the rare earth element puzzle. 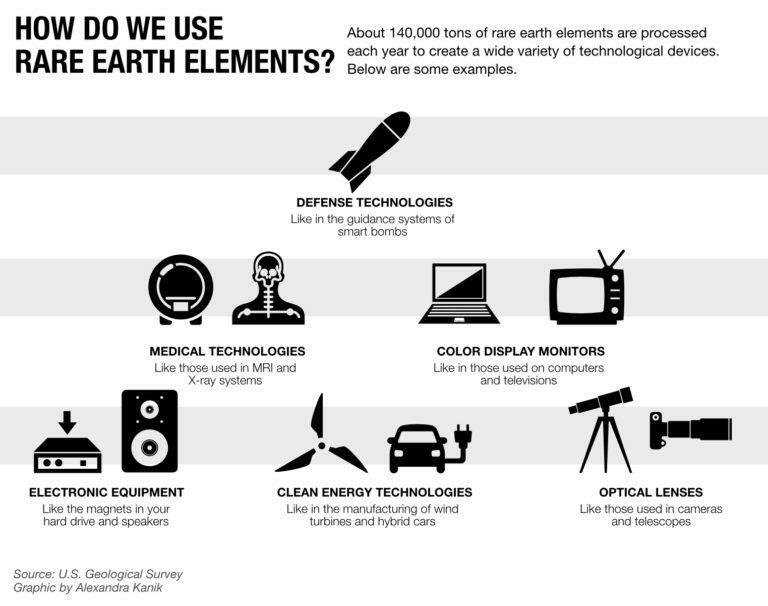 The team is on the hunt for rare earth elements and ways to build an industry around them. The Americans are underdogs. Right now China is the team to beat, where 95 percent of rare earths used in phones, electric cars, and smart bombs are all sourced. Rare earths are not “rare” so much as rarely concentrated and hard to extract. It usually takes acids and harsh chemical processes to get the elements out of surrounding ore, which can create the stuff of environmental nightmares. But the eastern coal fields are already coping with environmental nightmares. 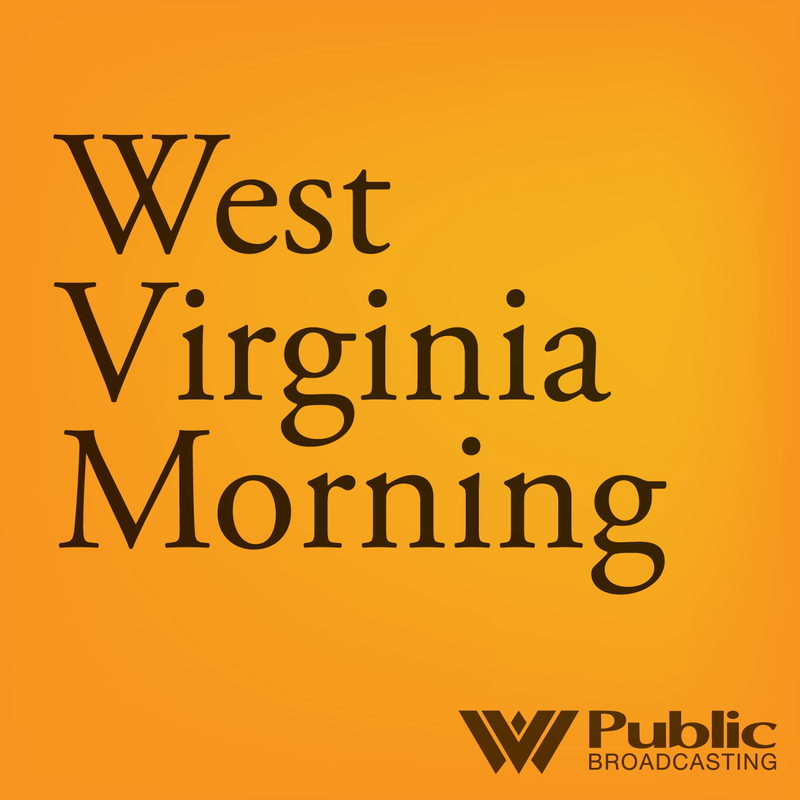 “Before the Clean Water Act, the Monongahela River at Morgantown was orange. It was absolutely dead. The only difference between that and now is the amount of treatment that water gets before it winds up in the river,” Ziemkiewicz said. So acids are literally seeping from coal mines and, apparently, leaching rare earth elements in the process. Ziemkiewicz’s research is not only identifying which elements exist in acid mine drainage and other mine wastes, such as the sludge left from treatment of polluted water, but also how to process the elements and get them into a marketable form. Tarka explained that about 140,000 tons of rare earth elements are processed globally each year into products on the market. To put that into perspective, the U.S. produces about 700,000,000 tons of coal each year. Steven Roberts reviews a slide in the lab at the Center for Applied Energy Research. So far there are few if any commercially viable sourcing alternative for rare earth elements outside of China. Since the U.S. doesn’t want to have to rely on any single other nation to provide important components critical to national security, government funds are funneling into research at the facility in Morgantown, a federal Department of Energy national laboratory that focuses largely on coal and fossil fuel research. “Right now what we have is actively 15 projects that are investigating not only separations, investigating where we can find our best reserves, and how can we take this forward,” said Mary Anne Alvin, the head of rare earths division at NETL. 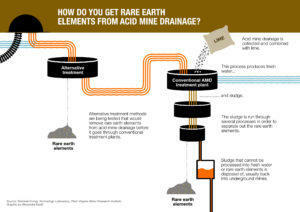 Rare earth mine companies have tried and failed in the US already. They just weren’t profitable on their own. The hope now is that rare earth mining can be economically viable if it piggybacks on other mining operations such as coal. Researchers have already begun to identify rare earth elements in and around coal seams as well as those within waste products associated with mining and burning coal. Ziemkiewicz’s mine drainage research is just one of many projects underway. Others in Pennsylvania and Kentucky are studying lots of other coal waste products. 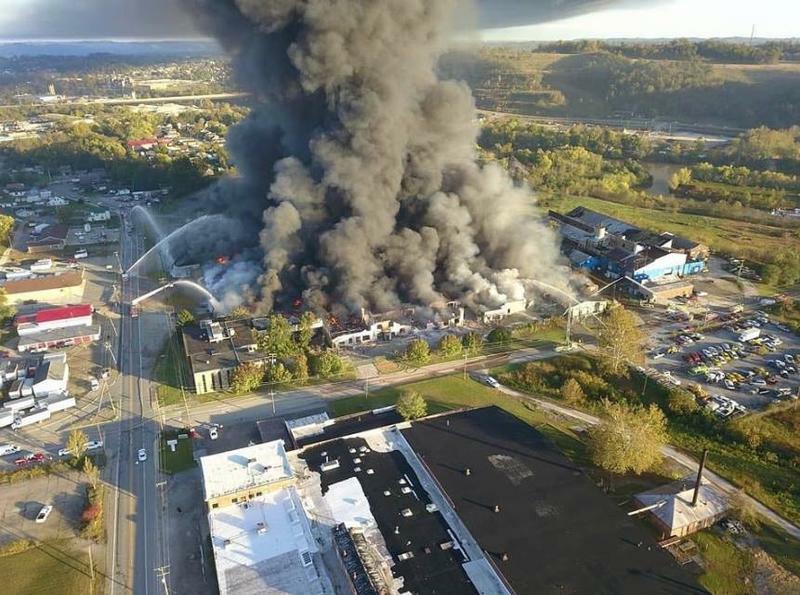 James Hower at the University of Kentucky’s Center for Applied Energy Researchinvestigates the possibilities in coal ash, the residue left from burning coal in power plants. There are literally mountains of discarded coal ash throughout the region creating one of the nation’s top waste disposal challenges and sometimes leaking toxic pollution into waterways. James Hower at UK’s Center for Applied Energy Research. Hower says that in order for a rare earths industry to be successful in the region the industry will need to be headquartered in the region that produces the material. These scientists estimate that with continued research, a rare earths industry is possible within 10 to 20 years. In the wake of the hearings the U.S. Environmental Protection Agency hosted in West Virginia last week, the agency has decided to schedule more public hearings about the repeal of the Clean Power Plan - carbon regulations that aimed to limit greenhouse gas emissions from power plants. On this West Virginia Morning, here in West Virginia, one source of energy -- coal -- tends to dominate discussions about the economy. But it’s another form of energy production that brought The World’s Jason Margolis to the state.